Yarrabah, situated south of Cairns, is known by locals as “paradise by the sea”. And it is. The rainforest runs down to beautiful sandy beaches, Fitzroy Island is a stone’s throw from the main beach and Green Island is just beyond. Both islands belong to the traditional owners of the community and the nearest reef can be reached by dingy. Traditional owners fished on the reef for turtle, dugong and shell-fish. Like with all meetings, when mob get together, old acquaintances and memories are discussed before the real meeting gets under way. 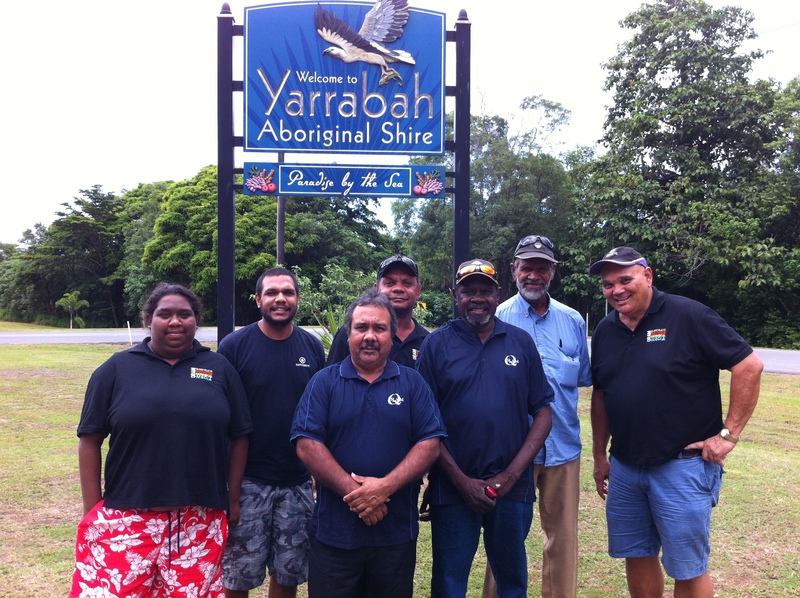 The meeting was to introduce members of the QRAM board to the Yarrabah Council Members. The main topic of the conversation was the introduction of Yarrabah radio service, its future integration into a broader multi-media centre and its overall capacity to engage the community in the creative industries of the future. The radio license is allocated from the 1st of March 2013 and final preparations are underway to receive the BlackStar Service from the QRAM RIMO hub in Cairns. Broadcasting will commence sometime in March using second-hand and loan equipment from Radio Larrakia in Darwin, and CAAMA Radio in Alice Springs. The license has got everyone talking and plans are underway to train broadcasters for when the community has their own facility. QRAM will commence training in Cairns on the 11th of March, with their training partners TNQ TAFE. Stay tuned for more on Yarrabah Radio and check our other stories on the development of the Yarrabah service by putting ‘yarrabah’ in the search bar to your left.